You’ve heard about teeth whitening treatments, but you’re not sure if they are right for you. The truth is if you have yellowed, stained or aging teeth and you want a brighter, whiter smile, a professional teeth whitening treatment is definitely right for you! Your family dentists at Papich-Forsyth DDS & Associates in Cuyahoga Falls, Ohio want to introduce you to the magic of professional teeth whitening. Why should you choose a professional whitening treatment? That’s a very good question considering there are many over-the-counter whitening products you can simply buy at the grocery store. The truth is, these products may not give you the profound whitening result you want, and the results may not last very long. Some over-the-counter whitening products can make your teeth sensitive. 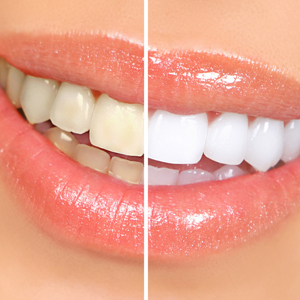 Professional whitening treatments from your family dentists in Cuyahoga Falls, Ohio can whiten your teeth up to 8 shades whiter and the results can last an astounding 5 years! Whether your teeth are stained from smoking, coffee or aging, a professional dental whitening treatment can restore your dazzling white smile. A speedy in-office teeth whitening treatment known as ZOOM whitening; your treatment will take about an hour, making it the perfect choice for your busy schedule. A convenient take-home whitening kit containing professional strength whitening gel and custom trays; this method allows you to whiten and brighten your smile whenever you want, in the comfort and privacy of your home. Your family dentists in Cuyahoga Falls, Ohio want you to know you should visit for a full exam before you have your teeth whitened. That’s because there are timing issues with teeth whitening treatments. For example, if you have painful dental issues, you should have them treated before whitening your teeth. If you are thinking about crowns, veneers or cosmetic dental treatment, you should whiten first to your desired shade, and then match your cosmetic treatment to your newly-whitened smile. This creates a seamless, blended look. You deserve a whitened, brightened smile because a great smile is your gift to the world. Your new, dazzling smile is just a phone call away. Call your family dentists at Papich-Forsyth DDS & Associates in Cuyahoga Falls, Ohio. Call today and look great tomorrow!